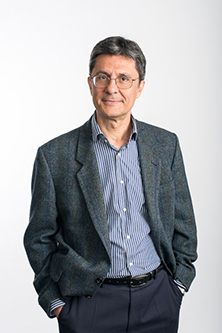 Professor of Civil Engineering, Professor Andreas Kappos, has been elected Secretary-General of the European Association for Earthquake Engineering (EAEE). Professor of Civil Engineering, Professor Andreas Kappos, has been elected Secretary-General of the European Association of Earthquake Engineering (EAEE). His election took place during last month's EAEE European Conference on Earthquake Engineering in Istanbul, Turkey (24th-29th August), which was jointly held with the 34th General Assembly of the European Seismological Commission. The aim of the EAEE is to promote regional cooperation among scientists and engineers in the field of earthquake engineering; to advance research in the field of earthquake engineering, and; to contribute to and support all related research and educational activities. "I am delighted with this election and look forward to carrying forward the work of the EAEE. The engineering fraternity, including academics and industry partners, regulatory authorities and governments must keep up the effort needed to properly mitigate seismic risk in Europe and the rest of the world". Professor Kappos has served as secretary of the EAEE executive committee from 2010 to 2014 and as coordinator of the EAEE's Working Group on Bridges since 2004. He has also been a member of various scientific committees dealing with seismic design and assessment. Professor Kappos has spent his professional and academic career studying earthquakes and their impact on structures. He was a Lecturer and Reader of Earthquake Structural Engineering at Imperial College London and a Professor of Civil Engineering at Aristotle University of Thessaloniki, before joining City in 2013. For more information on the EAEE, please visit this weblink. Visit this weblink to learn more about City's MSc in the Analysis and Design of Structures for Fire, Blast and Earthquakes.